The La Sierra University Board of Trustees expressed its concern to the officers of the North American Division over the precipitous action taken to publicize the “Joint Proposal” without adequate prior consultation with the La Sierra University administration and board, especially in light of the ongoing discussions with Adventist Accrediting Association and Western Association of Schools and Colleges over issues of university governance and institutional autonomy (Link). It is interesting to note, however, that Dr. Lee Grismer, also active in promoting neo-Darwinism to the exclusion of any support for the Adventist position on origins, also signed the “Joint Proposal” document. 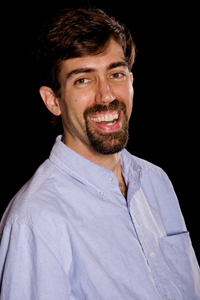 Yet, Dr. Grismer has so far been maintained by LSU – possibly because he is tenured, while Dr. Lee Greer is not or because he agreed to sign a statement of apology for his involvement with the “Joint Proposal” (see Lee Greer’s press release on this issue published by Spectrum on May 9, 2012). Also, it seems like Randal Wisbey, President of La Sierra University, signed a $25 million dollar bond agreement with the State of California in 2008 (to include $17 million dollars to refinance the new Thaine B. Price Science Complex) where one of the stipulations of the bond was that no forms of “sectarian instruction” (presumably to include the active promotion of creationist or intelligent design concepts) would be presented within any of the buildings funded by the bond. It appears other Adventist schools have taken out state bonds as well, such as Loma Linda University (LLU). However, the restrictions associated these bonds are reportedly not as strongly opposed to the presentation of the Adventist position on origins as the language of the bond accepted by LSU appears to be. In any case, it is no wonder that President Wisbey and the LSU administration have been so unwilling to work, in any kind of substantive manner, with efforts to reform the school when it comes to supporting the Adventist position on a literal six-day creation week within LSU’s science classrooms. The consequences of failing to uphold the stipulations of the bond are that a lawsuit would be filed against LSU equivalent to the value of the bond. Yet, according to a statement put out by LSU (Link), President Wisbey, along with the Vice President for Financial Administration, David Geriguis, signed such a restrictive bond with the approval of LSU’s school board (though not all of the board members where aware of the restrictive language of the bond – according to one board member). How is it not self-evident to anyone charged with oversight over the administration of one of our Adventist schools that they should not accept funds from anyone where strings are attached such that the very reason for the existence of our schools is significantly undermined? ← Michigan Conference vs. LSU – Right Wing Politics or Truth in Advertising? This is incredible. Randal Wisbey has essentially sold out the whole educational mission of La Sierra University for some low interest government bonds. At least now we have better insight as to why Wisbey came down so hard on the Joint Statement authors, kicking 3 of the 4 Trustees who signed the statement off the Board of Trustees and eventually firing Lee Greer. Wisbey understood that if the strategy of the Joint Statement (teaching the Adventist position on origins not as science but as our denominational faith position) had been implemented, it would violate the bond covenant prohibiting sectarian instruction in the building. @Sean Pitman: How much did you say LSU got out of it? Thirty pieces of silver? Wisbey had no business doing this. None whatsoever. In order to survive this, Wisbey will need to have very solid documentation in the board minutes that the Board of Trustees was fully apprised of this prohibited use covenant language, and that with full knowledge of this language and its implications, the Board nevertheless voted to take the municipal bond money. Wisbey will also need an opinion letter from legal counsel to the effect that the prohibited use covenant language is effectively unenforceable. I rather doubt that Wisbey has either of these things, and hence I imagine that his tenure as president of La Sierra University will be coming to an abrupt conclusion. This information is correct. I contacted the California Treasurer and was emailed a confirmation about this. I also asked how many bonds and buildings were in the restrictive covenant, but have not received any information about this. Is it “confidential’ or can we get more details? Does anyone know? BTW, I also contacted David Deruguis, many weeks ago, about the details of the bonds, and received no answer. The exact number of bonds and the buildings covered are still unknown. Will we be able to get this information? According to the information I was sent from the Treasurer’s office, even “prayer” is prohibited by the restrictions. For those interested, Ronald Washington is the Executive Director in charge of these things at the Treasurer’s office. Instead of criticizing La Sierra, let’s really around them and help them get out of this large bond. Yes they have made a mistake, but what can we do to help them get out. La Sierra needs to do what they can to get free of the bond. @Karla: Karla, the problem is that the PSC would not be “free” to be used for sectarian purposes even if the bonds were paid off. The prohibited use covenant applies “for the duration of the useful life” of the building financed or re-financed with tax-free municipal bond money. Once municipal bond money has been used on a building, it has effectively been secularized forever. Randal Wisbey has effectively secularized the Thaine B. Price Science Complex in perpetuity, and there’s almost an additional $8 million worth of bond moneys that have presumably been spent on buildings throughout the campus. Until we know what this money was spent on, we won’t know how much of the university Wisbey has managed to secularize. Wisbey has really done a number on all of us naive conservatives who thought that La Sierra was a Seventh-day Adventist educational institution. I expect that in the near future we will be hearing from Ricardo Graham that he and the other members of the Board of Trustees were never informed about this critical restrictive covenant language. And I expect that, shortly thereafter, we will be hearing that the Board of Trustees are searching for a new president and new legal counsel. I looked at the securities statements. Interesting. The bonds were issued through Wells Fargo Bank. Was the additional 8 million taken out part of the original 24 mil? Karla: Instead of criticizing La Sierra, let’s really around them and help them get out of this large bond. Yes they have made a mistake, but what can we do to help them get out. La Sierra needs to do what they can to get free of the bond. I would want to know exactly WHY La Sierra would even do such a thing. Was the Board aware of or approving of such an action? If so, we have a lot more people to be questioning than just Randall Wisbey. A full disclosure public meeting is needed. Will we get it? Or anything similar? I do not believe we will. I hope I’m wrong. David Read: This is incredible. Randal Wisbey has essentially sold out the whole educational mission of La Sierra University for some low interest government bonds.At least now we have better insight as to why Wisbey came down so hard on the Joint Statement authors, kicking 3 of the 4 Trustees who signed the statement off the Board of Trustees and eventually firing Lee Greer. Wisbey understood that if the strategy of the Joint Statement (teaching the Adventist position on origins not as science but as our denominational faith position) had been implemented, it would violate the bond covenant prohibiting sectarian instruction in the building. David, I agree completely. And if these things are true, Wisbey should be the next to go, along with any other administrators who willingly “signed off” on this deal. Seventh-day Adventist beliefs are not based on science. They are based on Scripture. The Church does not have a sectarian approach to science, anymore than it has a sectarian approach to volleyball or mathematics. Accordingly, financing the science building with revenue bonds is no more remarkable or problematic than financing the gymnasium and mathematics building with revenue bonds. I have previously established in various comments that there is no such thing as creation science. I do not see how the bond issuance significantly advances the argument for not teaching creation science in science class, because the argument has always been and is unrefutable. To suggest as this story does that La Sierra administrators have tied their hands by undertaking the bond issuance in order to pursue a pedagogical approach that is unsound or contrary to Church beliefs is absurd. I cannot imagine that any rational thinker would maintain that there is one truth for “faith” and another truth for “science”. Truth is absolute. Either we are here by a miraculous creation event some very few 1000’s of years ago, or we are here by the (unproveable) evolution of muck slowly into intelligence. If “science” does not teach truth, it is based on fallacies. Finally, let me state my opinion as an attorney that the sharing of Seventh-day Adventist religious views about origins in science class, hanging a beautiful picture of the Garden of Eden on the wall, or engaging in the type of philosophical musings science teachers in public universities are allowed to engage in does not rise to the level that would justify an allegation that the building is being used for “sectarian instruction or study or as a place for devotional activities or religious worship.” Neither the terms of the bond or First Amendment concerns would be implicated, in my opinion. However, the presentation of the Adventist position on origins in science classrooms as a viable empirically-rational alternative to neo-Darwinism, or even theories of intelligent design behind various features of the universe or living things, would be prohibited by the language bond agreement – according to the way the government defines “science”. How is this a “good” situation from the perspective of the SDA Church? Phillip Brantley: Finally, let me state my opinion as an attorney that the sharing of Seventh-day Adventist religious views about origins in science class, hanging a beautiful picture of the Garden of Eden on the wall, or engaging in the type of philosophical musings science teachers in public universities are allowed to engage in does not rise to the level that would justify an allegation that the building is being used for “sectarian instruction or study or as a place for devotional activities or religious worship.” Neither the terms of the bond or First Amendment concerns would be implicated, in my opinion. How about the specific word “prayer” which is, according to the State Treasurer’s office, banned? Has anyone said a “prayer” in the Science Building? That seems to be banned by the State. In contrast to what Philip Brantley has said, I invite all to actually read the “Religious Certification and Acknowledgment Exhibit B” in the “Bond Financing Program Application” published by the State of California. According to the Treasurer’s Office, all schools must sign this document. Dr. Pitman, the boilerplate language is intended to address broad First Amendment concerns. The funds are not being used to build a divinity school, classrooms for religious instruction, or a house of worship. Short of that, nobody is going to care if the science teacher in the particular building financed talks about Intelligent Design or scientific critiques of neo-Darwinism. None of that material would be considered sectarian instruction, in my opinion, because the Seventh-day Adventist Church does not take a position regarding the scientific merits of ID, neo-Darwinism, or the critiques of neo-Darwinism. La Sierra has fully disclosed in the bond issuance document that it is a Seventh-day Adventist university and that its religious perspectives are evident in every classroom. This disclosure is not inconsistent with the boilerplate language, in my opinion. This is much ado about nothing. I am not aware of anyone associated with La Sierra who has argued that current pedagogy in the La Sierra science classrooms has been dictated by the financing of the science complex. I’m in full agreement with the First Amendment, the separation of church and state, within state institutions. I am not in favor of making any building on any of our school campuses a state institution. Just because the language of the bond is “boilerplate language” does not mean that its legal implications are not really binding. The Seventh-day Adventist Church does not take a position regarding the scientific merits of ID, neo-Darwinism, or the critiques of neo-Darwinism. Yet, the General Conference Executive Committee, at its 2004 Annual Council, did in fact ask all professors in SDA schools to present a “scientifically rigorous affirmation of our historic belief in a literal, recent six-day creation”. Sounds to me like the SDA Church does in fact support the promotion of the scientific evidence for our position on origins – which obviously can’t be done in the science buildings at La Sierra University. Phillip Brantley: The funds are not being used to build a divinity school, classrooms for religious instruction, or a house of worship. Short of that, nobody is going to care if the science teacher in the particular building financed talks about Intelligent Design or scientific critiques of neo-Darwinism. None of that material would be considered sectarian instruction, in my opinion, because the Seventh-day Adventist Church does not take a position regarding the scientific merits of ID, neo-Darwinism, or the critiques of neo-Darwinism. It would not take much reading to establish the fact that FB#6 and 3SG90-91 are blatantly opposed to long-ages evolutionism in its various forms. And we have yet to see a “God created life on earth in 6 days” form of evolution promoted by any of the US courts taking up the strained argument that I.D. is too much of a religious statement to be allowed in a nothing-but-evolution science class. The idea that the 7th Day Adventist Church has no sectarian position on all life on earth being created in a real 7 day week less than 10,000 years ago would be hard to defend in court. Science teachers promoting evidence for young life on earth totally contradictory to the “believe evolutionism by faith alone” curriculum in many other science departments – would have a hard time defending their teaching has not having reference to the SDA mission and world view on origins. As Larry Blackmer stated in his address to the LSU faculty – the distinctive SDA view on origins and the Gospel is to be included in all classes taught by SDA professors. The Dover trial argued that simply inserting a 30 second informational statement– at the front of a nothing-but-evolutionism science is sufficient to fine the school board over a million dollars. That “informational statement” merely said that “there exists a book in the library” about I.D. — and that I.D. does not agree with the kind of evolutionism taught in the course the students are about to take and that if they wish to know more about that idea they can go to the library and read the book. In SDA science classes we ask a lot more of our science professors than a short pause (in an otherwise nothing-but-evolutionism biology course) informing the students that “there is a book in the library which does not agree with evolution”. So how is it that you suppose such a open, liberal, tolerant climate exists in the courts for a school signing such a restricted commitment as in the case of this bond?? Now that is truly transparent isnt it? I have just now read the responsive statement made by La Sierra University that is posted on the advindicate.com website. Might I suggest to the critics of La Sierra University that a sheepish retreat and a period of self-examination might be appropriate? Phillip Brantley: Seventh-day Adventist beliefs are not based on science. They are based on Scripture. The Church does not have a sectarian approach to science, anymore than it has a sectarian approach to volleyball or mathematics. Accordingly, financing the science building with revenue bonds is no more remarkable or problematic than financing the gymnasium and mathematics building with revenue bonds. I have previously established in various comments that there is no such thing as creation science. 1. The SDA church is recognized as the pioneer in establishing creation science. 2. There is no such thing as state-sponsored “volleyball evolution”. So a just-the-facts presentation of volleyball does not have to deal with myths, and legends about dust,gas,rocks being able to form a volleyball court “given enough time”. And so just teaching actual volleyball sans-evolutionist-mythology does not look sectarian. Even so – our courses in exercise and health would most certainly include our health message and its relationship to the last day message of Seventh-day Adventists. See Larry Blackmer’s comments affirming that point about the mission of our Universities. Admittedly – LSU seems to have been sold down the river by its own administration when they “bought into” that non-SDA commitment. WASC is a cakewalk by comparison. @Phil Brantley, So are you saying that the State of California has no intention of enforcing the religious restrictions in the bond agreements? This does not seem consistent with the State’s policies, when issuing education bonds. You’re dealing with people here who are motivated by hatred and intolerance. I don’t know how else to state it. I sometimes wonder whether their statements, like those by David Read here and elsewhere directed toward Wisbey, approach the level of slander that could be taken to court. I wish the Church’s leadership would simply ask these people to take down their websites, which serve as platforms to publicly abuse individuals, proffer unGodly gossip, and provoke the war that David Read so hysterically advocates. Only hatred and intolerance can motivate those who so enthusiastically undermine the Church’s doctrine on unity. Only hatred and intolerance can motivate those who so enthusiastically undermine the Church’s doctrine on unity. @ProfessorKent: Professor Kent, by your standard for taking down websites, I take it that the Spectrum website should also be taken down? Those who participate there, for the most part, spend their time publicly abusing the leadership in the SDA Church. David Read: I expect that in the near future we will be hearing from Ricardo Graham that he and the other members of the Board of Trustees were never informed about this critical restrictive covenant language. And I expect that, shortly thereafter, we will be hearing that the Board of Trustees are searching for a new president and new legal counsel. W-R-O-N-G. According to Elder Graham himself, who was quoted in the LSU statement in response to the malicious articles posted here and at ADvindicate, there was a lengthy deliberation followed by approval of the board. Some have quite the imagination. Indeed. I always suspected there was some problem hovering in the background that we were unaware of–and most likely tied to finances. Figures. I find it interesting that you consider all of us who are concerned that the truth be upheld as being “motivated by hatred and intolerance.” It is to be assumed, then, that you don’t want to be included in such a group. It is a shame that all this time and energy is wasted on this political “hot topic”. We have a “heaven to win and a hell to shun”. Is this getting the job done? It appears to me that we have lost focus on what is eternal and have gone to the temporal. There is a reason that Vance Farrell wrote The Broken Blueprint. If we as a church had not gone to accrediting in the first place we wouldn’t be in this situation and perhaps Jesus would have come. Satan is jubilant over all the in-fighting and distraction going on here. Why must we give in to him? I will be on my knees “sighing and crying for the abominations coming upon this world” Read Ezekiel 9. Anyone care to join me? True, if you have no intention of teaching Scripture-based Creation in your science classrooms. Where the problem comes in is that this is the mandate of any SDA institution of higher education–to teach the Bible truth about Creation. Really? And how have you done that in the face of both Bible and SOP statements to the contrary? What you have actually done is established your opinion, nothing more. The Bible holds true science and the science you subscribe to, apart from the Bible, is man’s foolishness. You will certainly never convince me that Creation isn’t science. As you should be well aware, our SDA Church is founded on unity in God’s Truth, not in secular theories which not only undermine God, but deny His existence! Do any of the bonds utilized by these other universities have the same strings attached that the bonds utilized in the state of California do? David Read: I expect that in the near future we will be hearing from Ricardo Graham that he and the other members of the Board of Trustees were never informed about this critical restrictive covenant language. I don’t think Ricardo Graham or any other board member can plead ignorance as an excuse. Preventing this kind of thing is exactly what the board is for. Not reading the documents could be construed as nonfeasance on the part of all of the board members. I remember getting a lot of opposition on this web site earlier when I asserted that our belief in creation was a faith statement, not a scientific statement with most arguing that creationism was science, referring to “creation science” and “blind faith evolutionism”. I am now finding it ironic that the same people are worried that LSU will run afoul of the bond for teaching faith and religion in the science classroom. So which is it? Faith or science? It seems to me that you take which ever side of the argument that is most convenient for bashing LSU. @Ron: Ron, in the context of legal documents, there’s no question that creation science is faith. The courts have ruled repeatedly that creationism and even Intelligent Design are faith positions that may not be taught in public schools. Now, I personally believe that just as much, if not more, faith is required to believe the Darwinian origins narrative than is required to believe that we were created. But as far as the courts are concerned, there simply is no question that creationism is a sectarian belief. This has been held over and over and over. There’s simply no question that teaching creationism or Intelligent Design in the PSC will violate the prohibited use covenant. @Sean Pitman: There is certainly documentation somewhere of what the remainder of the bond funds was spent on. I imagine that the University was required by the bond trustee to document the capital projects the money was used on (because the funds could not be used for salaries or ordinary current operation expenses). So this is probably a public document that can be obtained through the freedom of information act. Also, I imagine that this information has been made available to the Board of Trustees and/or constituents, so if you have any contacts in those bodies, ask for the information. Keep digging, because you or Shane will find this information somewhere. I would just like to clarify a point here. David is correct in saying that the legal system will consider Creation to be faith-based. However, in actual fact, Creation is true science. God is the ultimate scientist and His Creation utilizes true science. The fact that man judges this true science to be non-science, and some man-made already refuted theory to be science (evolution) doesn’t change a thing regarding the true nature of real science. It only affects court rulings and such. Just wanted to make that point clear so that there aren’t any misunderstandings. The deepest students of science are constrained to recognize in nature the working of infinite power. . . . Only by the aid of that Spirit who in the beginning “was brooding upon the face of the waters;” of that Word by whom “all things were made;” of that “true Light, which lighteth every man that cometh into the world,” can the testimony of science be rightly interpreted. Only by their guidance can its deepest truths be discerned. Ron: I remember getting a lot of opposition on this web site earlier when I asserted that our belief in creation was a faith statement, not a scientific statement with most arguing that creationism was science, referring to “creation science” and “blind faith evolutionism”. I am now finding it ironic that the same people are worried that LSU will run afoul of the bond for teaching faith and religion in the science classroom. So which is it? Faith or science? It seems to me that you take which ever side of the argument that is most convenient for bashing LSU. I would like to remind the reader of a few points for the sake of context. 1. The agnostic/atheist evolutionists in charge of the National Academy of Sciences and “the state” of California – are not the ones that were arguing with Ron and claiming that Creation science is in fact pure science. 2. People on this board observe that as those nothing-but-evolution secular entities look at LSU’s deal with the state – the government is going to use prevailing state views of creation as their ruler. 3. Your comment above mixes the state’s view of creation with educate Truth’s view of it and argues that the Educate truth people must defend both positions as if both are their own. For the sake of perspective – recall that Brantly argues the extreme position that neither creation science (nor even Intelligent Design?) should be allowed in our science class rooms. Thus in his “evolution only world” our science department could not help but be in line with the demands of a very secular state agenda for a science building. And then we get the oft repeated response to it. The idea is that any opposition to evolutionism “is hateful” by definition unless it is cast in a “evolutionism is probably right but I believe creationism anyway” sort of fashion. Kent keeps reminding us of that canard every now and then. Phillip Brantley: I have just now read the responsive statement made by La Sierra University that is posted on the advindicate.com website. I find it interesting that LSU still-stuck in a closed-door agreement not to teach sectarian SDA views of origins, science, creation in their science class rooms is a cause for Educate Truth to begin a “sheepish retreat”!! What is the thinking there?? Oh wait I know – it “is all better” because instead of this being a backdoor move by Wisbey alone – the entire LSU board was in on it. I think there are now enough ex-board members floating around that were on the board at the time of that bond signing – so that some fresh perspective on that point could be had. But whether it was the entire LSU board (all fully appraised on the bond obligation not to teach any actual SDA views of science, origins, biology, life, creation, nature – in science class) or the actions of a few or if the board were simply told they could ignore that language in the bond and that lawyers would bail them out if trouble came up from the state, time will tell. As it stands now – LSU is apparently not in violation of any 2008 stipulation that they promote blind-faith evolutionism and not creationism as if evolutionism were actually true, so we have yet to “test the claim” that some are making on that point about it being ok to teach our SDA views on nature, young life creationism, intelligent design, origins etc in those buildings. 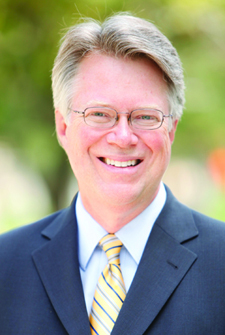 Jonathan: Philip Brantley states that “Many of our Seventh-day Adventist educational institutions, including Andrews University and Southern Adventist University, finance their capital needs with revenue bonds.”Do any of the bonds utilized by these other universities have the same strings attached that the bonds utilized in the state of California do? I have contacted PUC to see if they have done this also. However, after over a month, no response has been received. I will contact them and see if I can find out. I would just like to say that I think that firing Dr. Lee Greer is an absolute tragedy. Samuel Mathison: I would just like to say that I think that firing Dr. Lee Greer is an absolute tragedy. Please give us more information as to why you think so. Professor Kent: W-R-O-N-G. According to Elder Graham himself, who was quoted in the LSU statement in response to the malicious articles posted here and at ADvindicate, there was a lengthy deliberation followed by approval of the board. So, if this is correct, we have not only Randall Wisbey to blame, but the majority of the Board. This is why the investigation of this matter should go “higher” to the General Conference. Will President Wilson and others have the backbone to do it? Phil, so far I see nobody pulling on their sheepskin and heading out to the retreat. Do you think La Sierra wants to get out of this thing? I wonder how many other buildings and bonds are in place right now that we don’t know about. Does anyone know? @ Educate Truth – Keep up the good work. David Read: @Sean Pitman: There is certainly documentation somewhere of what the remainder of the bond funds was spent on. I imagine that the University was required by the bond trustee to document the capital projects the money was used on (because the funds could not be used for salaries or ordinary current operation expenses). So this is probably a public document that can be obtained through the freedom of information act.Also, I imagine that this information has been made available to the Board of Trustees and/or constituents, so if you have any contacts in those bodies, ask for the information.Keep digging, because you or Shane will find this information somewhere. Well, one reason why the Church’s leadership doesn’t try to take down this website is that many of the pastors I have spoken to who read it from time to time (but don’t comment themselves) AGREE with it! Shane–has the GC, Pacific Union Conference, or even La Sierra asked or threatened you in any way to remove this website? How long will the State continue to turn a blind eye is anyone’s guess, but it will not be forever. Eventually the State will enforce the bond-agreement language which gives the state power over all those who have accepted such bonds in perpetuity for the entire life of the bonded buildings. Phillip&#032Brantley: The funds are not being used to build a divinity school, classrooms for religious instruction, or a house of worship. Short of that, nobody is going to care if the science teacher in the particular building financed talks about Intelligent Design or scientific critiques of neo-Darwinism. None of that material would be considered sectarian instruction, in my opinion, because the Seventh-day Adventist Church does not take a position regarding the scientific merits of ID, neo-Darwinism, or the critiques of neo-Darwinism. Phillip&#032Brantley: Finally, let me state my opinion as an attorney that the sharing of Seventh-day Adventist religious views about origins in science class, hanging a beautiful picture of the Garden of Eden on the wall, or engaging in the type of philosophical musings science teachers in public universities are allowed to engage in does not rise to the level that would justify an allegation that the building is being used for “sectarian instruction or study or as a place for devotional activities or religious worship.” Neither the terms of the bond or First Amendment concerns would be implicated, in my opinion. David&#032Read: This is incredible. Randal Wisbey has essentially sold out the whole educational mission of La Sierra University for some low interest government bonds.At least now we have better insight as to why Wisbey came down so hard on the Joint Statement authors, kicking 3 of the 4 Trustees who signed the statement off the Board of Trustees and eventually firing Lee Greer. Wisbey understood that if the strategy of the Joint Statement (teaching the Adventist position on origins not as science but as our denominational faith position) had been implemented, it would violate the bond covenant prohibiting sectarian instruction in the building. Phillip&#032Brantley: Seventh-day Adventist beliefs are not based on science. They are based on Scripture. The Church does not have a sectarian approach to science, anymore than it has a sectarian approach to volleyball or mathematics. Accordingly, financing the science building with revenue bonds is no more remarkable or problematic than financing the gymnasium and mathematics building with revenue bonds. 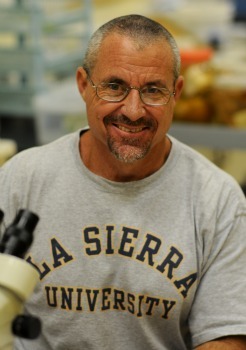 Phillip&#032Brantley: I have just now read the responsive statement made by La Sierra University that is posted on the advindicate.com website. Professor&#032Kent: W-R-O-N-G. According to Elder Graham himself, who was quoted in the LSU statement in response to the malicious articles posted here and at ADvindicate, there was a lengthy deliberation followed by approval of the board. David&#032Read: I expect that in the near future we will be hearing from Ricardo Graham that he and the other members of the Board of Trustees were never informed about this critical restrictive covenant language. Samuel&#032Mathison: I would just like to say that I think that firing Dr. Lee Greer is an absolute tragedy.